THE impact of images showing the Syrian refugee crisis is not lost on a Coast resident whose decorated military career has exposed him to more than most civilians could imagine. 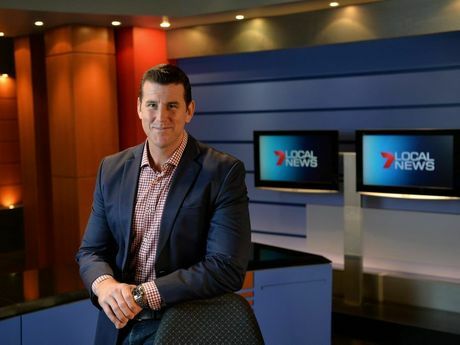 Veteran-turned-television executive Ben Roberts-Smith spoke with the Daily about taking on his Maroochydore-based general manager role for Seven Queensland, his excitement about the region and insights his military experiences have given him into issues locally and abroad. 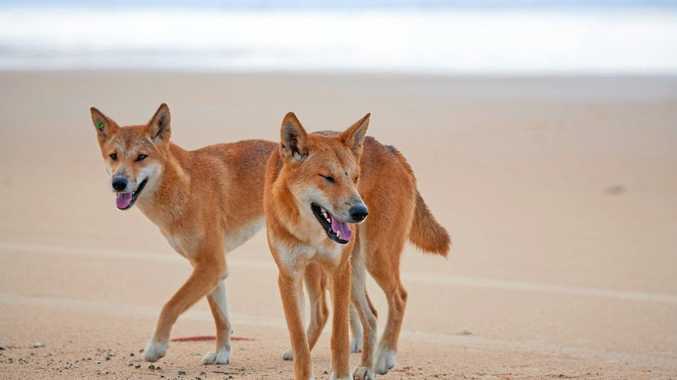 He has been on the Coast for nearly a year, having settled with wife Emma and their five-year-old twin daughters Eve and Elizabeth near Buderim. "We've got a few acres on top of the ridgeline which is ... a beautiful part of the world," Mr Roberts-Smith said. "To be able to sit up there, you are so close to the country and yet 10 minutes from the beach. "Everything's here and that's something that I think my wife and I didn't recognise until we moved here. "There is such a great community feel, no matter where you go ... it's just easy." It was his job that brought them here, having spent his initial time as an understudy to former general manager Neil Mooney. Mr Roberts-Smith said there was a misconception that Seven West Media owner Kerry Stokes had got him the role. He said the opportunity came up after he had done some consultancy work for Mr Stokes' heavy machinery company WesTrac. From that, he received further consultancy work with Seven West Media, which put him in contact with Mr Mooney. "Neil actually was the one who offered me the job," he said. 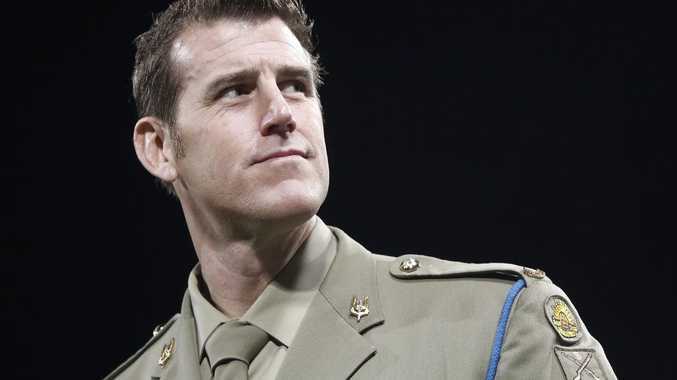 Mr Roberts-Smith retired from his Special Air Service Regiment army role in 2013, having been awarded the Victoria Cross medal for action in Afghanistan in 2010. His career had taken him around the world but had taken a toll on those close to him. "We are doing the job that we want to do, that we love, that we are passionate about and it's a very selfish job in that regard. Your families, they don't have a good salary, they don't get good houses and so after that amount of time, it was more a case of 'Okay, this is a great opportunity because we've got a fantastic environment'. He said the most terrifying thing for a soldier who had spent a long time in the military was to leave. "It's a certain way about life, there's a certain way you do business, there's a way you conduct yourself and there's an identity attached to that," Mr Roberts-Smith said. "That's a really hard thing when you step out. You still see yourself as a soldier." The key, as he learned the hard way, was for soldiers to clarify what they wanted to achieve before they left. "For probably four to six months, I didn't know whether I was going to go back into the military. I had one foot in each camp and I just didn't commit." But he enrolled as a student at the University of Queensland and is now about four months away from completing his Master of Business Administration. He said he kept in touch with former army colleagues but no longer put on the uniform for the Army Reserve. "You are not going to find me running around the training fields or putting on my body armour anymore," he said. "Those days are gone and I just simply don't have the time." He instead focuses his efforts on being a representative of the defence forces. "So no matter what I do, whether that's in business or in life, my decision-making process has to account for that because I can't take away from that integrity by doing something silly or making a poor decision." His military career has given him a broad perspective on issues such as the Syrian refugee crisis. Mr Roberts-Smith said he tried to maintain his focus on issues regardless of where media attention was centred. "One of the things that I know very clearly from my days in the military is that this kind of thing happens all the time," he said. "You wouldn't be a human being if your heart didn't go out to some of these families. "Seeing images of a young child wash up on the beach - no one wants to see that. "It's not what you want the world to be like but the reality is ... the world is like that and it needs our constant attention, not just when it's popular." He thanked Coast residents for their warm welcome: "They have really accepted my family and I into the community here and that means a lot to me."